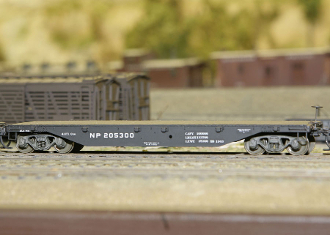 1003 41 foot Un-Decorated NP Built Flat Car Kit. This stunning Flat Car is from the 1930’s to the late 1970’s era and is beautifully detailed from the brake wheel to its underbelly! With its wood grain planks, and its stunning stake boxes. The NP railway systems used this 41’ Flat Car, as maintenance car to help clean up train after wrecks, as well as for hauling heavy equipment, like bulldozers, milling equipment, pipe layers, excavators and compactors. 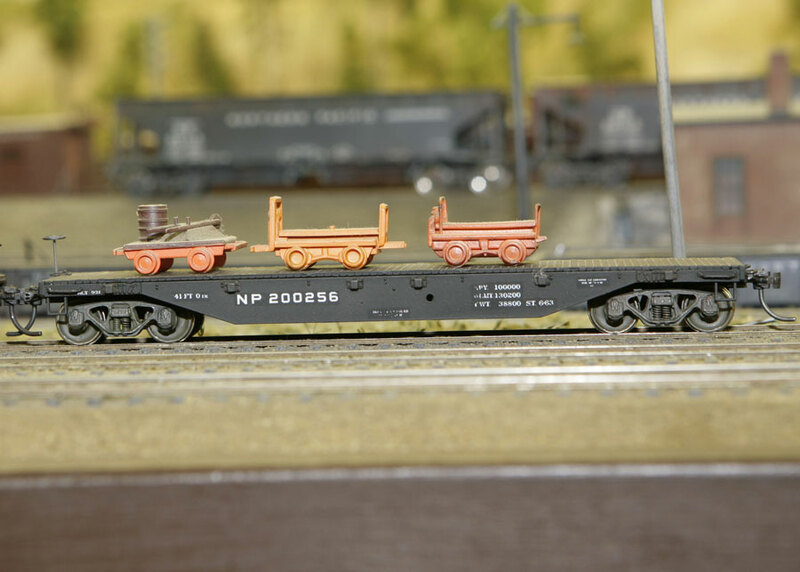 They were workhorses and any HO modeler would be proud to have this Central Valley; NP Built Flat Car on their layout! Included with this kit, are the Tichy Train Group grabirons #: 3015 & 3021 on the ends with #: 3053 on the sides. You can order a full assortment of NP Decals for the CVMW Flat Car Kit & the CVMW Stock Car Kit can be ordered from Microscale Item #: 87-1399. This flat car is less couplers, trucks, weight, and decals. Modelers who have seen this car have been enthusiastic and love the easy assembly and reasonable price!